The Publication Series on Comparative Constitutional Law, Politics and Governance, edited by CPG, draws together contributions of scholars and practitioners from all over the world dealing with current issues and developments in the intersecting fields of constitutional law, politics and governance in comparative perspectives. Presented are publications on issues like constitutional structures and institutions; normative orders and discourses; human rights in national and international perspectives; questions of and strategies for national and regional security, stability and peace; the political integration within the framework of regional organizations in particular the ASEAN, as well as questions of legal transfer and legal reform. The target audience comprises scholars of international and constitutional law, political and regional studies, as well as practitioners in the areas of development cooperation and the rule of law dialogue. 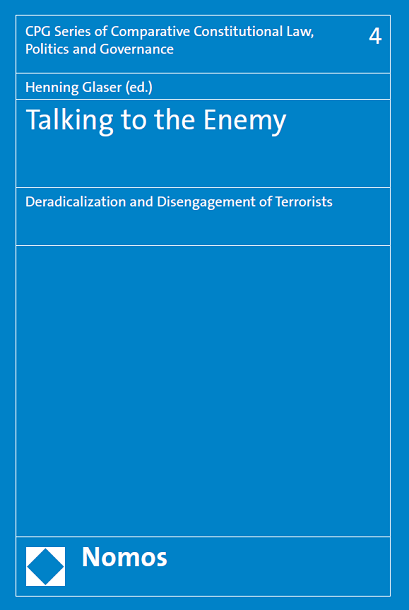 As a collected volume, ‘Talking to the Enemy’ focuses on various aspects of the communicative dimension of counter-terrorism and its marginal conditions. In its first part, the book features eight articles providing a variety of perspectives on Western as well as Asian efforts in countering potentially violent extremism. Besides more theoretical approaches, they offer practical insights from the coal face of counter-terrorism, especially in the field of disengagement, deradicalization and rehabilitation. The second part is made up of a longer essay breaking down the effects of the fundamental post-9/11 trends in counter-terrorism on single strategies of how to engage with the adversary in form of de-radicalization, counter-terrorism and counter-insurgency. A third part rounds off the volume with additional material including an interview on the Islamic State and its impact on geopolitics with a former chief intelligence advisor to the Indian government. The book addresses those generally interested in countering radicalization, terrorism, counter-insurgency, conflict and IR/security studies as well as particular communicative techniques and the politics of counter-terrorism from different regional angles. → Check availability of this volume at Nomos Shop. After the Continental-European type of specialised constitutional courts has globally largely prevailed over the past two decades (at least beyond the Anglo-Saxon world), constitutional courts increasingly decided questions with far-reaching political consequences in various political settings. In this respect, a general tendency towards the judicialization of politics is embodied particularly clearly in the institution of constitutional courts. Correspondingly, role and performance of constitutional courts are increasingly challenged in political debate in a range of political settings and became one of the most interesting topics in recent academic discourses on constitutional theory. Despite their common roots in a few models these courts vary widely in their role within the constitutional system, their functions and their effective performance. 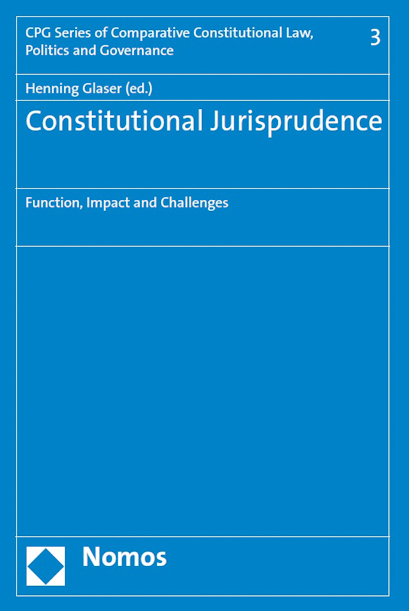 Against this background the contributions collected in this volume address – among others – questions such as the constitutionalization of the legal system and the increasing politicalization of constitutional courts. The contributions refer to the constitutional systems of Cambodia, Croatia, Germany Indonesia, Japan, Pakistan, Poland, Spain, South Korea, Thailand and Vietnam. Practice-oriented perspectives are provided by the contributions of incumbent or former constitutional court justices among the authors (from Cambodia, Croatia, and Poland). All constitutional regimes necessarily rely on a certain underlying consensus (Robert Dahl). They all, however, include conflicts and mechanisms to cope with them. This ambiguity applies in particular to the normative fundament of the political system, the constitutional basic order. If the balance between conflict and consent and its reproduction by relevant stakeholders and constitutional institutions including the judicial adjustment of the constitutional text by interpretation is disturbed here, or the constitutional basic order itself is threateningly assailed, constitutional crisis will emerge. Thus, experiences of constitutional crisis, but also processes of constitution making and constitutional reform, mark those dimensions in which consent and conflict in the constitutional basic order are reflected most clearly and fundamentally. 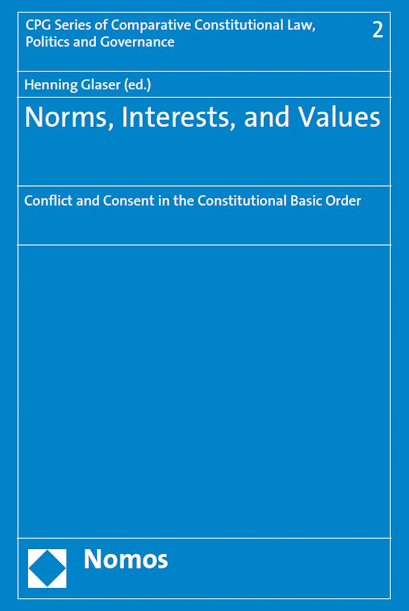 The volume collects contributions dealing with constitutional regimes which are currently facing critical challenges of the underlying consent of the constitutional community (Belgium, Hungary, Italy, Malaysia, Taiwan, Turkey), with strategies of the constitutional order to cope with those challenges (Germany, Singapore), and with claimed cultural differences concerning the Western form to shape the constitutional basic order (“Asian Values” and constitution). 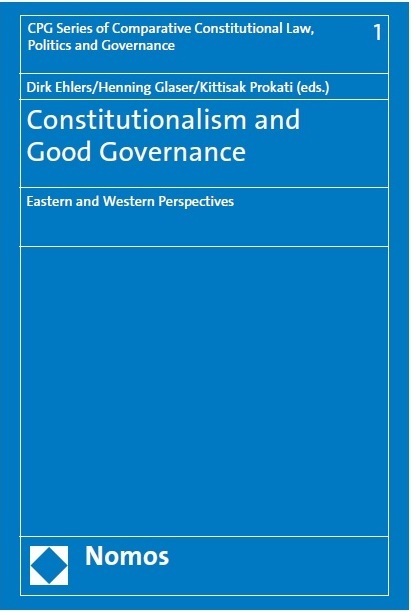 The volume addresses current issues and developments of European and Asian constitutionalism in 19 articles pertaining to 12 different constitutional regimes including topics like the constitution making and the design of constitutions, the judicialization of politics and constitutional courts, human rights in national law and the constitutionalization of national law by regional human right regimes, different concepts of the rule of law, electoral law, federalism, the majority principle and democracy, and ASEAN. Highlighting an interdisciplinary and comparative approach, the book resembles historical accounts, analytical studies, and political assessments by reputed legal and social science scholars including five (former) judges from the constitutional courts/council of Cambodia, Germany, Taiwan as well as the Supreme Administrative Court of Thailand.